My husband likes to collect MLB hats/caps and has done so for years. We are older now and it is time to downsize so his collection is going. 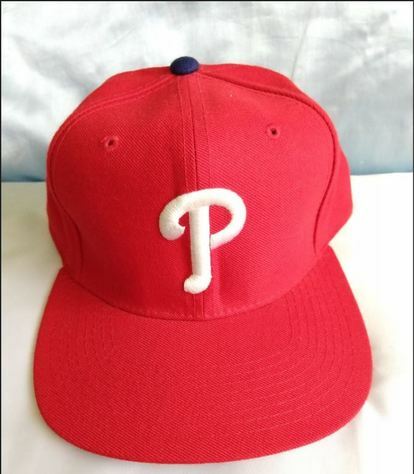 He has had them in a box for years and would take them out during the World Series and maybe wear one the day after a team won if he had that particular hat. Didn't really happen often because of his job and now that he's retired doesn't have anywhere to wear it to so they really need to go. THIS WOULD ALSO MAKE A PERFECT GIFT FOR THE SPORTS FAN IN YOUR LIFE!! Please examine photos as part of the description. People wanting me to contact them elsewhere or telling me they have contacted me 3 or more times, tend to be spammers and will be ignored. Once my items sell, I promptly remove the item, so, no need to ask if it is available. If it's listed, it's available. CASH & CARRY email only through here (don't ask for me to contact you at a different email address, only scammers do this and you will be ignored) or text 3 1 4 8 2 7 6 9 9 6 (no calls it only texts, so you'll get no answer).